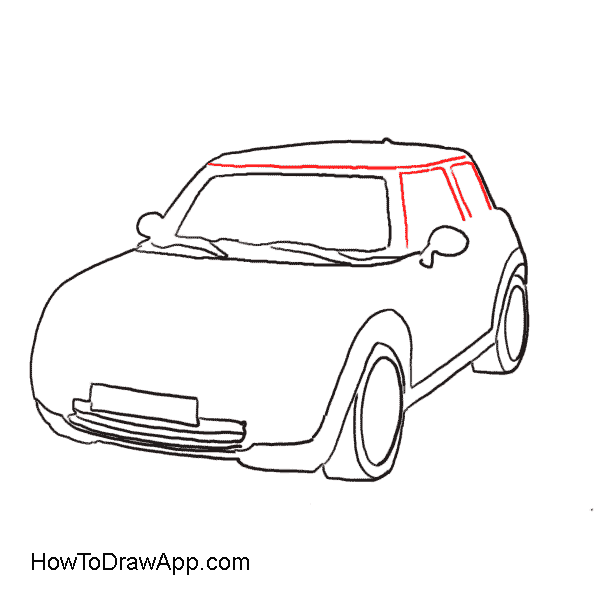 First, draw several parallel lines to mark a size of the car. Draw several parallel lines in the perpendicular plane. 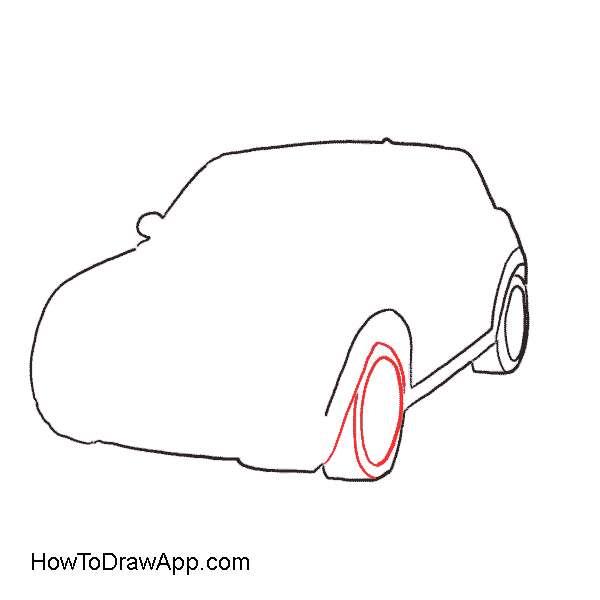 Draw a semi-circle line to outline the front wheel at the bottom. To mark the bumper in front draw a line going up from the front wheel. Continue to draw the contours of the car body. Let the line go up and then turn it right at an angle. 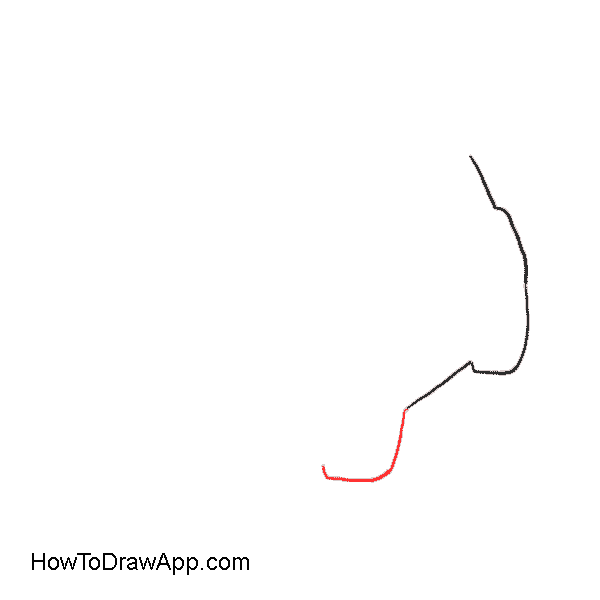 Draw the line of the wind screen. Draw the line of the roof and outline contours of the car body. 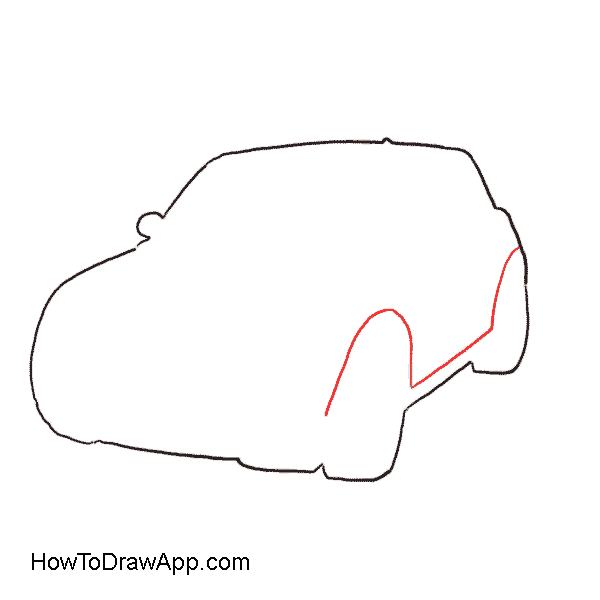 Draw bow-shaped lines on the car body for the front and rear wheels. 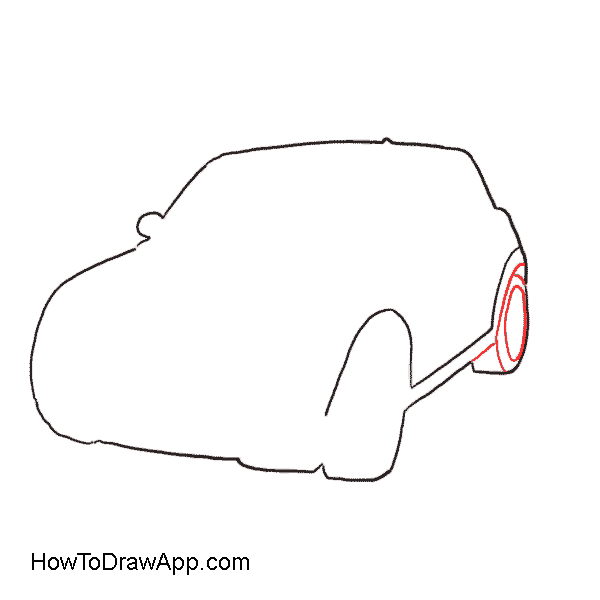 Draw oval-shaped lines to outline the wheel disk of the car. 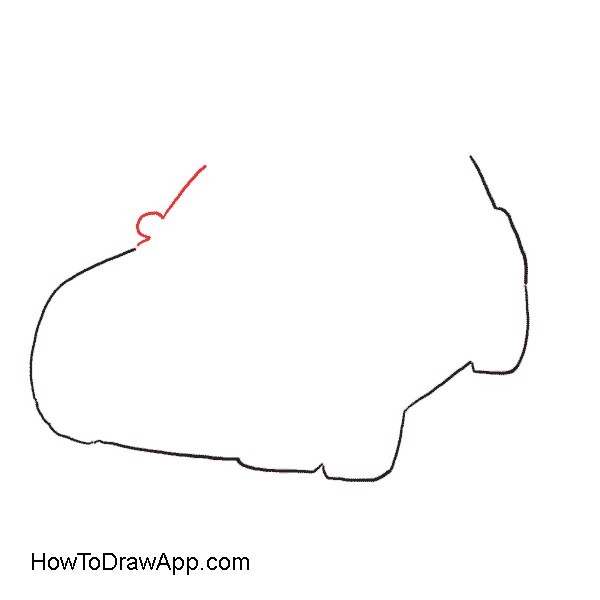 Add a horizontal line to outline details in the front. 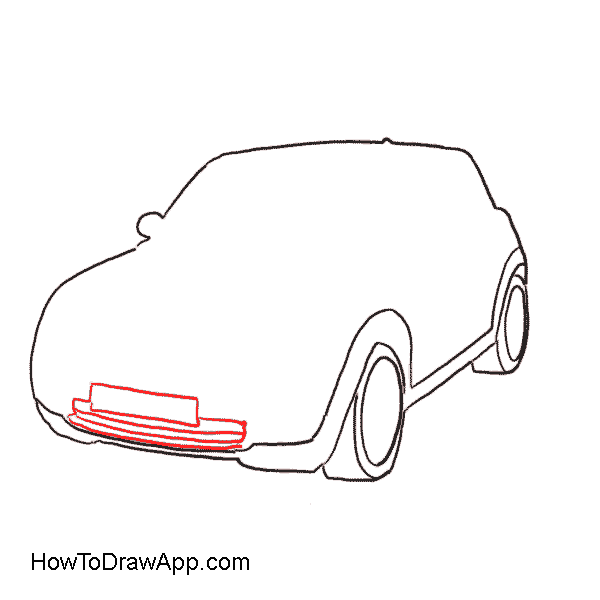 Draw a rectangular in the middle of the front to indicate the radiator and the number plate. Draw several horizontal lines in the radiator box to indicate the radiator grill in front. 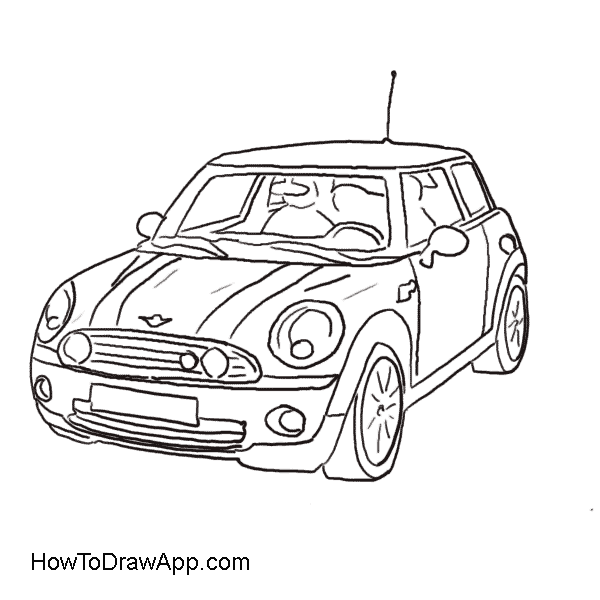 Draw a windscreen of the mini cooper. Mark a side-view mirror from the driver’s side. 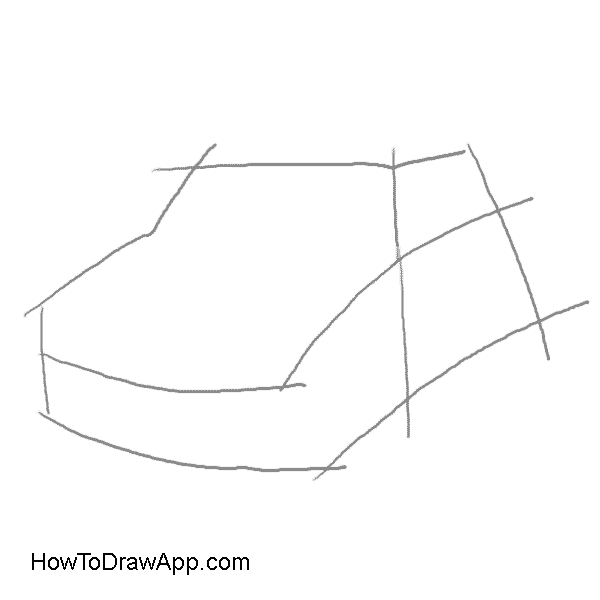 Draw a bit slanted vertical lines to mark side windows and the line on the roof. Draw two circles in front to mark the front headlights. 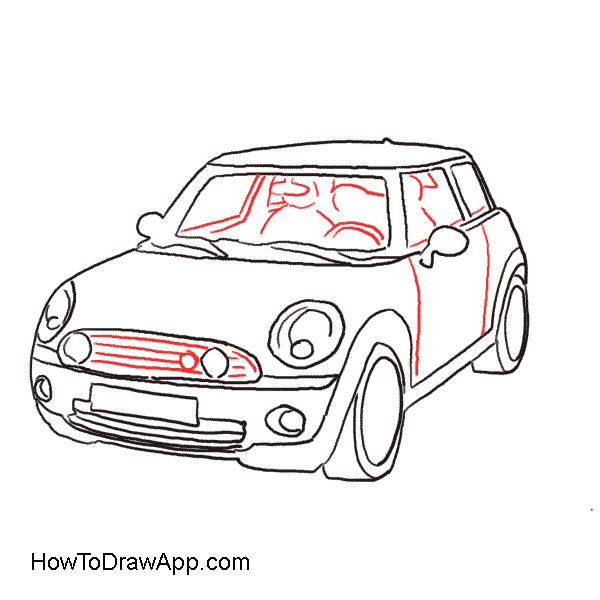 Add some lines within the circles for reflections of light. 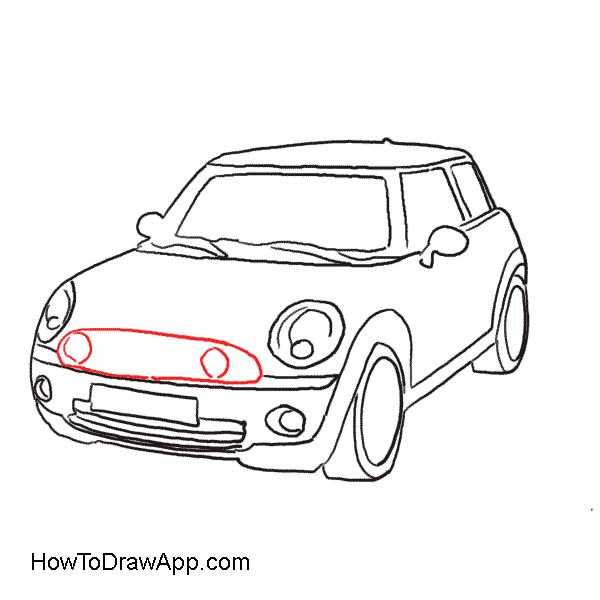 Draw a horizontal line to mark the hood of the mini cooper. Draw an elongated oval with two circles in it to mark radiator and two additional headlights. Draw the radiator grill of the mini cooper and the interior of the car. Draw some more additional lines for the elements of the car decoration. 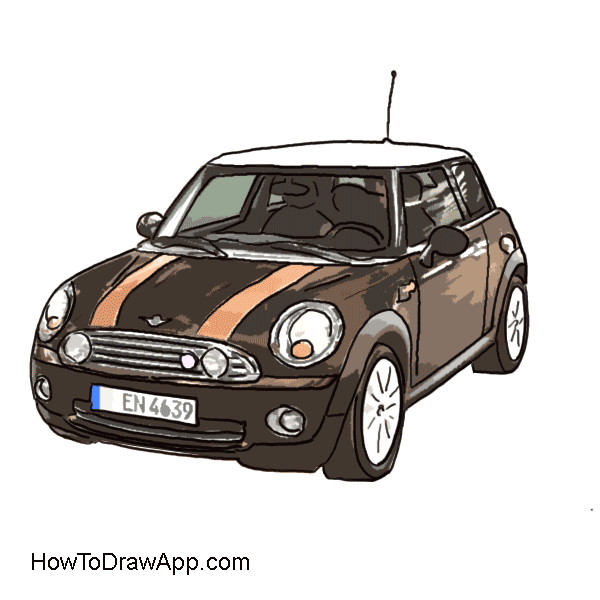 Your drawing of the mini cooper car is almost ready. 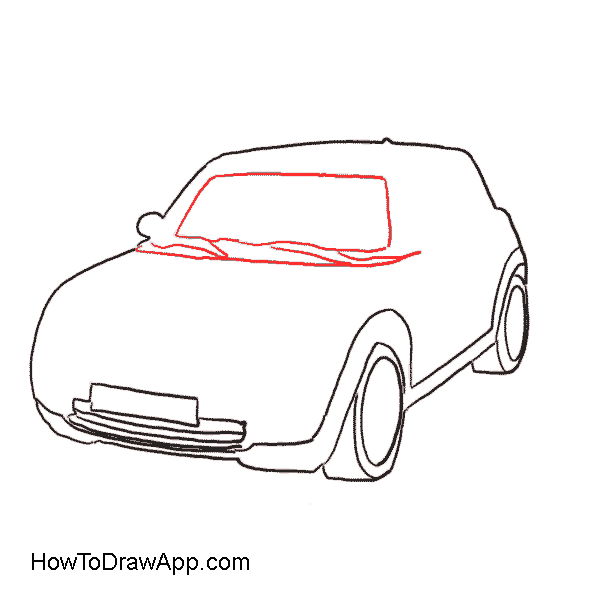 Paint it in dark beige colors and highlight two lines of the welded seams of the car.